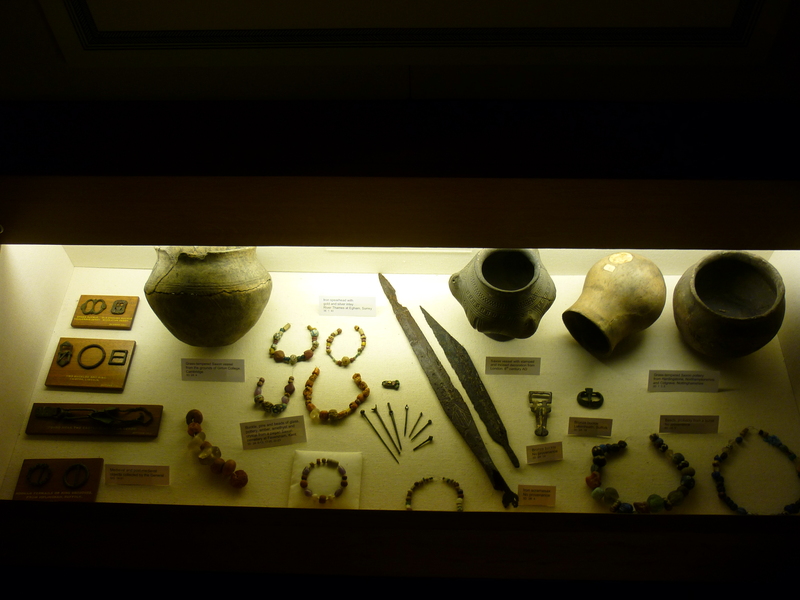 In this post I thought I should give a little bit of background into the redevelopment of the archaeology galleries and how it fits into the future of the museum. In a previous post I mentioned that the new Wessex Gallery is the first part of a major redevelopment that will eventually see Salisbury Museum transformed. Salisbury Museum will be gradually updating all of their galleries and improving accessibility, over the next ten to fifteen years. The redevelopment of the museum as a whole has been in the planning for several years and the archaeology galleries (with their designated collections of outstanding national importance) were quickly identified as a key area for updating. In 2008, when the process began, it was common knowledge among museum staff and the board of trustees that the archaeology galleries were out of date in terms of academic information and appearance. 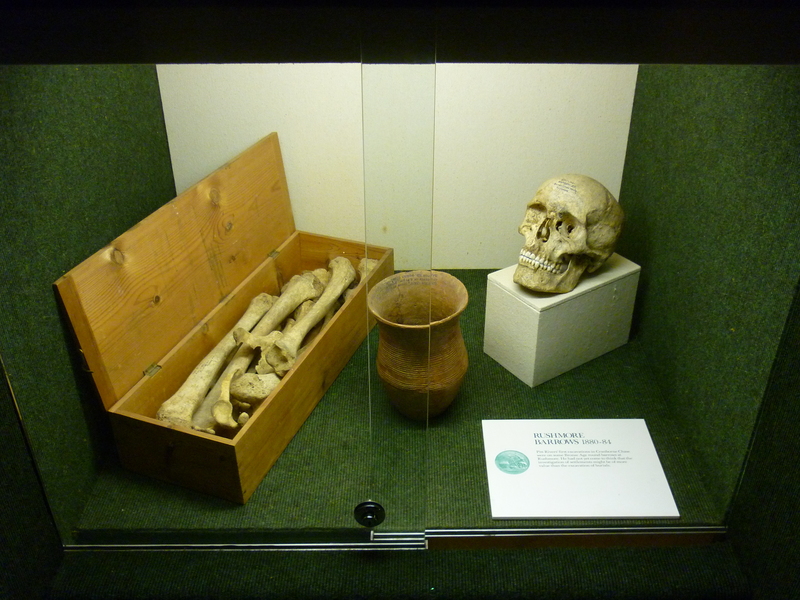 Remains and pot from a beaker burial displayed in the old Pitt Rivers Gallery. 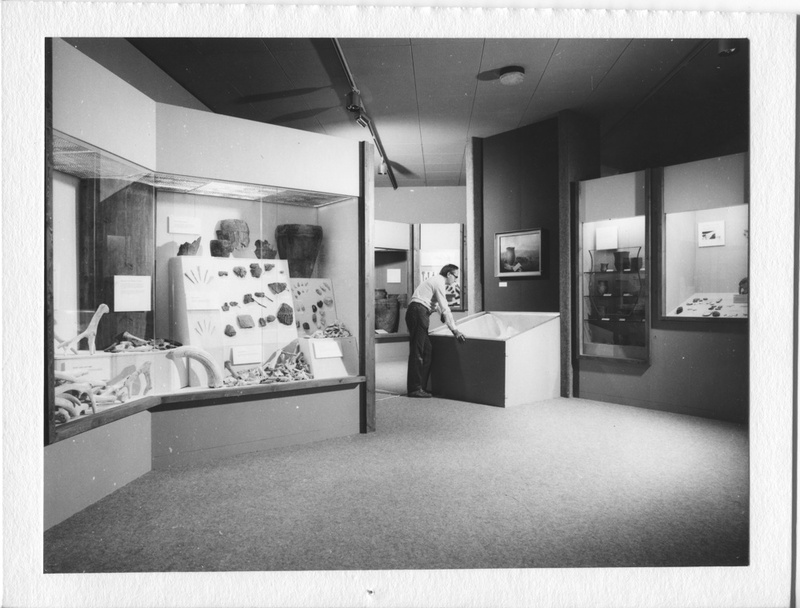 Both The Early Man Gallery and The Pitt Rivers Gallery had been designed in the 1970s by Robin Wade and Pat Read. Although innovative at the time of construction, the galleries had become oppressive, confusing, and inaccessible to many visitors. The colours in the galleries were dark, and the materials were looking worn. They were perceived as a space reserved for academic intrigue and enquiry, rather than a place of interest and enjoyment for all types of audiences – which the new archaeology gallery aims to be! In contrast, The Stonehenge Gallery that was designed in 2001 took a less academic approach. The target audience of the gallery was families, and displays included a number of interactives that had become worn, outdated or broken. The differences in approach between the three galleries were confusing to visitors. People frequently missed viewing parts of the museum’s collections because displays were either thought too academic or too family orientated. The new Wessex Gallery (which replaces these three previous galleries) is due to open late Spring 2014 and will become a space of discovery and investigation for all visitors, both young and old. Visitors will discover Anglo-Saxons, Romans, the beaker people and those who lived during the creation of Stonehenge as they are taken back through time, starting with William the Conqueror at Old Sarum and ending in the deep prehistory of Wessex. Salisbury Museum has been working in partnership with English Heritage and Wiltshire Heritage Museum to develop an integrated approach to the interpretation of Stonehenge. 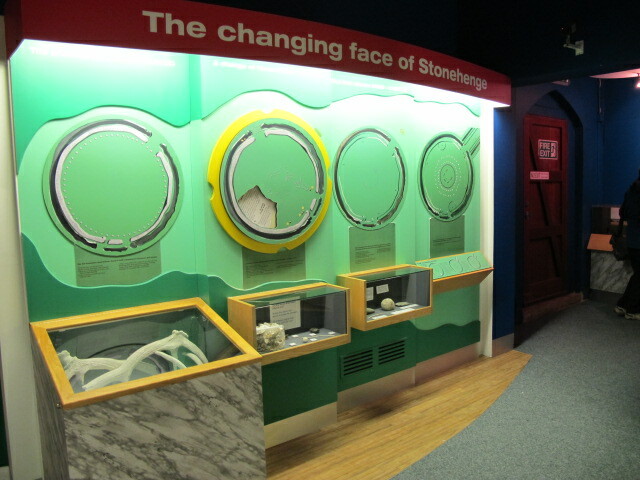 Whether visiting the new Stonehenge Visitor Centre, Wiltshire Heritage Museum in Devizes, or Salisbury Museum, visitors will discover a different aspect of Stonehenge. 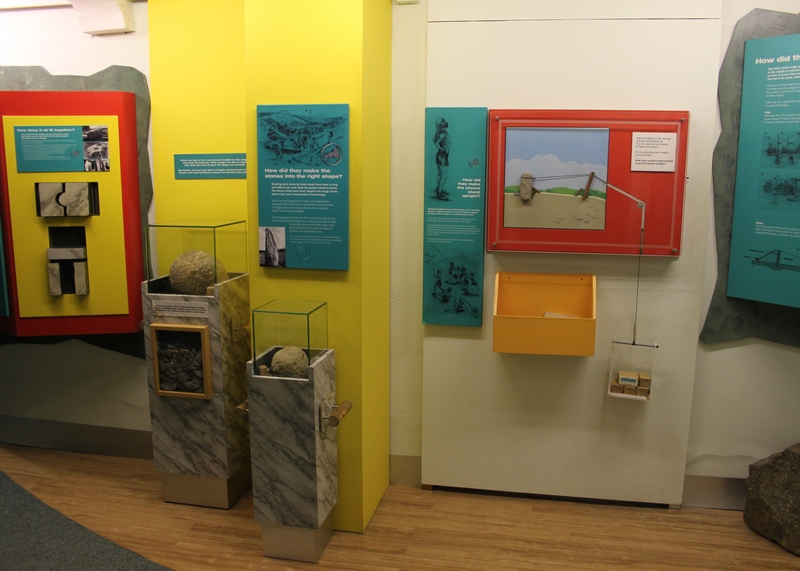 The creation of the new archaeology gallery was made possible by a grant of nearly £1.8 million from the Heritage Lottery Fund (HLF). The total cost for the new gallery will be £2.4 million. The remaining funds have been raised through grants and donations from trusts and foundations, including major grants from English Heritage, the Linbury Trust, DCMS/Wolfson Fund, and the Garfield Weston Foundation – a complete list of funders can be found on the museum’s website: (http://www.salisburymuseum.org.uk/about-us/archaeology-wessex-gallery). Keep an eye on the website for news of further museum developments!